I am a massive fan of The Vegetarian Society, they are an educational charity working to support, represent and increase the number of vegetarians in the UK. Established in 1847, they are the oldest vegetarian organisation in the world. Their website www.vegsoc.org is full of information, recipes, advice on everything from becoming a vegetarian to approved products and all kinds of amazing things. 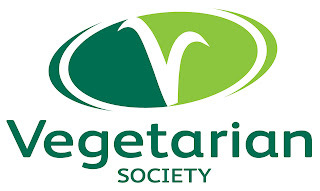 If you become a member of The Vegetarian Society you not only help them with their continuing good work, you get some pretty nice bonuses for becoming a member as well including discounts from nearly 300 shops and services across the UK and abroad. Go on have a look www.vegsoc.org. You know you want to.